If you’re looking for ideas for a Batman Birthday Party set up, Jennifer has created a masterpiece for her son Maddox’s 5th Birthday. We supplied the backdrop and other printables, however, Jennifer was behind the amazing party table set up. What an incredible job! 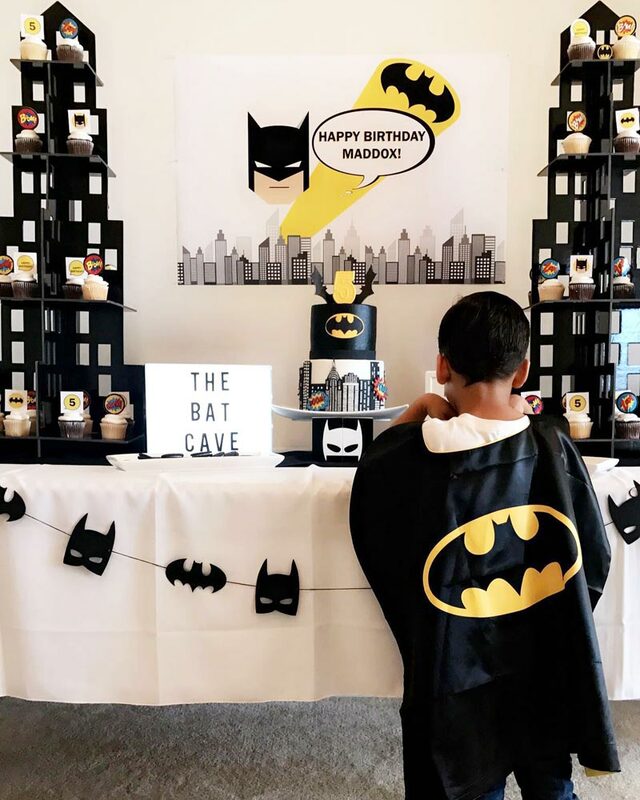 I have a few favorite features and they are; the building cupcake stand – it fits so perfectly with the theme and is unique; the birthday cake – that is one cool cake; the Batman garland hanging in front of the table and finally the Batman backdrop – it’s the perfect addition to bring the whole table together. Well done Jennifer, we love all of your creative ideas. Where did you get that birthday sign?